Elevate your event with a dynamic speaker! With the perfect combination of energy and intellect, Melanie Levenberg’s keynote presentations offer world-class information through an engaging facilitation style. She pairs intellectual content with physical movement to keep audiences of any size engaged and ACTIVE – from an intimate session to crowds of over 10,000! Each keynote presentation Melanie delivers is customized to align with your event's theme, taught through one of the following lenses: Playfulness, Positivity, Physical Literacy, Active Learning, or Disrupting Education. World-class content delivered in a way that captures the hearts and stimulates the minds of your delegates. Positive and playful philosophy woven throughout every presentation and topic. Integrated movement sparks electrifying mind-muscle connections and makes your event unforgettable. 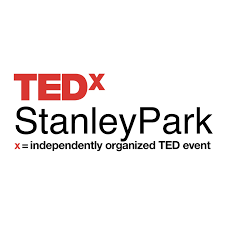 Melanie Levenberg is a speaker, author, TEDx presenter and Physical Education teacher with a Masters in Curriculum, Teaching and Learning. She puts her passion into action through her work as a Physical Literacy Consultant and Chief PLAY Officer for PL3Y International. Through innovative keynote sessions, workshops, and training, Melanie works with organizations around the world to infuse Professionally Playful ideas into their programs and services. Her mission is to empower local leaders to deliver physical literacy programs that are brought to life through an inclusive, imaginative and engaging pedagogy. Great energy and love the concept of a pose to create even more positive vibes - Melanie has a gift for getting a whole auditorium moving! [The DANCEPL3Y] sessions, exhibit and the revved up and exhilarating brain breaks were an integral part of the professional development event for our valued members. A heartfelt thanks for energizing our conference! DANCEPL3Y is such an fun, positive, and energizing program! You're getting people active and moving, but you're also inspiring them to be better people overall, happier and healthier, and the world needs more of that! Super hero poses in last night’s #DANCEPL3Y Kids class. This program is THE BEST program we’ve ever seen for helping kids to #bepositive #befun and be themselves. The smiles prove it really works and they almost forget how healthy this class is for their bodies andminds because they are having so much fun! I've been so inspired by your expertise and wisdom in promoting Dance in our curriculum! I’ll be using your interactive activities during our Middle School Sports Day - I want to inspire our middle school students to be active for life! THANK YOU SO MUCH for coming to NY to present your fabulous Dances for Physical Literacy. I heard nothing but positive feedback from participants. Attending your workshop was my favorite part of the day, by far. I absolutely love your enthusiasm, ease of teaching, and welcoming / it's-all-good-vibe! Bring your P.E. program to life with dances that foster physical literacy and develop fundamental movements skills (FMS)! Learn an engaging and interACTIVE teaching style that uses simple moves from a variety of music styles (Hip Hop, Urban, Ballroom, Bollywood, Jazz/Funk) and sports themes (basketball, volleyball, baseball) to address all four Elements of Physical Literacy (physical, affective, cognitive & social) and use a simple formula to create your own dances that will keep students ACTIVE while they develop FMS! Staying positive and healthy in today’s world can be a challenge. As School District Staff, your ‘vibe’ attracts your ‘tribe’ and the climate you create everyday affects yours and students’ wellbeing. It’s important to be equipped with tools and strategies to help you create and maintain a happy, fun and positive life! Come discover how fostering a playful mindset can help you experience the most out of your family, friendship and work relationships. 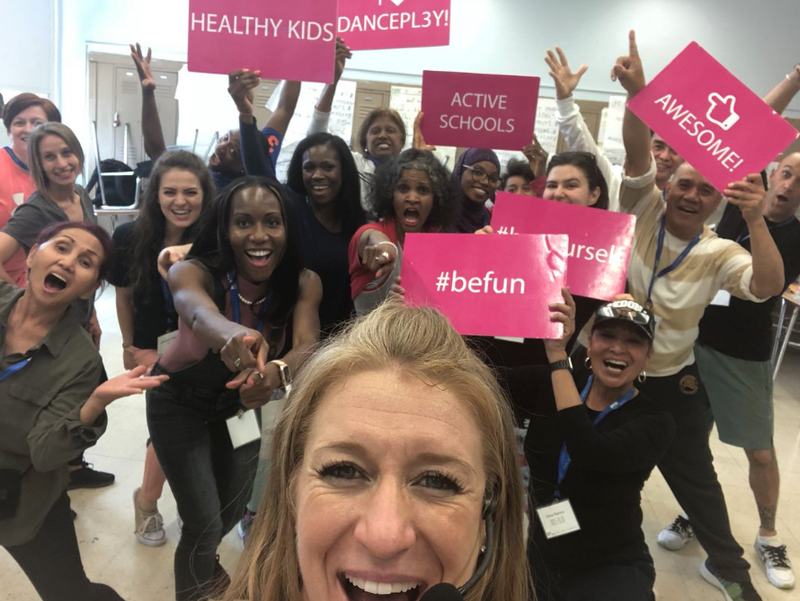 Get ready to move, stretch and boogie in this interACTIVE Keynote that will inspire you to BE the most fun version of yourself! Teaching Dance for Understanding is a new pedagogical approach for dance education that shakes things up with dance the same way TGfU brought us a new way of teaching games in P.E.! Experience the 6 Phases of the TDfU framework and discover physically-active and culturally diverse lesson ideas to engage students with dance moves that are relevant, accessible and energizing. Access resources including video tutorials, choreography notes, lesson activities and assessment rubrics.